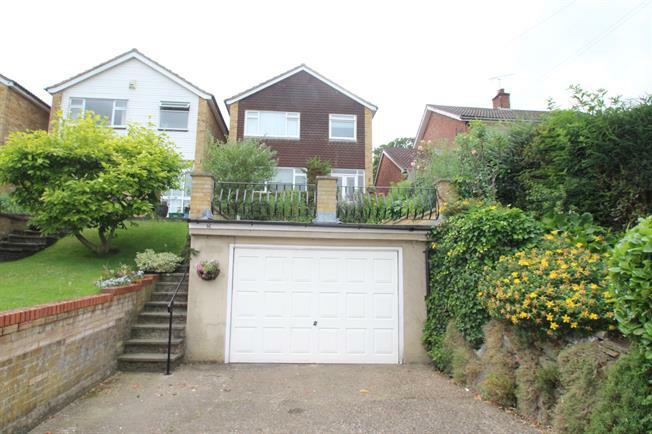 3 Bedroom Detached House For Sale in Croydon for Asking Price £625,000. Three bedroom detached family home in the popular Park Hill, benefitting from driveway for two cars, garage, double glazing, south west facing garden and gas central heating with Worcester Bosh boiler. Accommodation comprises entrance hall, kitchen/breakfast room, WC and 'L' shape 18'10 long reception room with patio doors leading to the circa 190 ft garden with rear gate to Park Hill. To the first floor are three bedrooms, study and four piece family bathroom along with access to the loft.